Starting Wednesday, I will be posting instructions for Conversation Hearts so you can make your own version of this design. 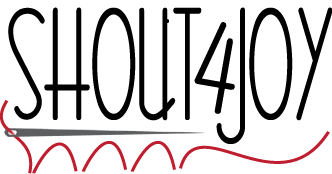 AND there is a Blog Hop Happening! I will be taking part in a blog hop this week - interesting articles and giveaways! 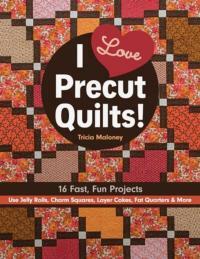 Each blog will give away one copy of the book I Love Precut Quilts by Tricia Lynn Maloney. Tricia is a delightful quilter and her personality comes through in her books and designs, I look forward to sharing her book with you! This is my day! 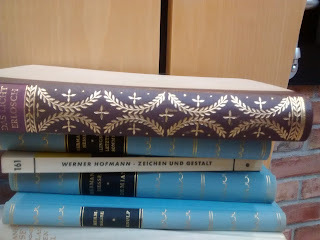 you can enter to win right here on Thursday's post! 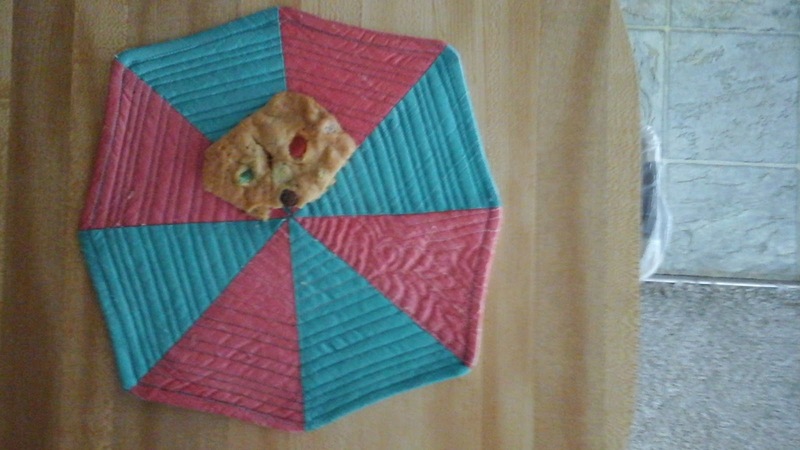 Today I ventured out to visit local quilt shops :) Three local ones were offering specials ... how could I resist? First stop was to a different shop that carries machines, but no fabric. I picked up a new walking foot for my Bernina as I had a coupon that was expiring. Then I made the rounds of the three quilt shops. 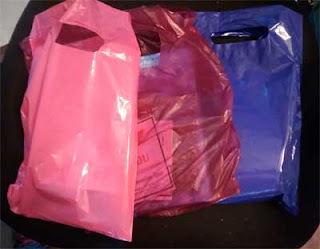 Isn't it neat that the bags all coordinated? Pinks to purples make me happy anyway and here they brightened my day! I didn't buy very much as the budget is tight right now (the Army Guy retired and is now looking for a civilian job), but I did get to pet a lot of fabric today! 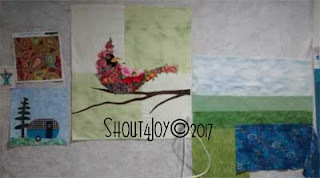 I am going to do a landscape quilt, and I think that I will use this sky fabric and these greens for the base of the quilt. 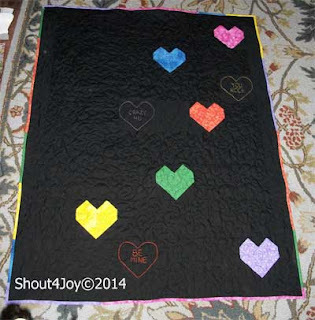 I have some fun things that will be going on this quilt, but it might be a couple of weeks before they come to life as I really need to continue deep cleaning in the Sewing Dungeon. 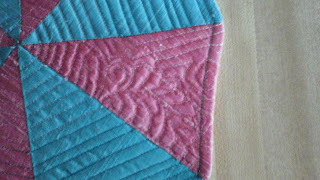 I see designs that I can use for quilting everywhere. 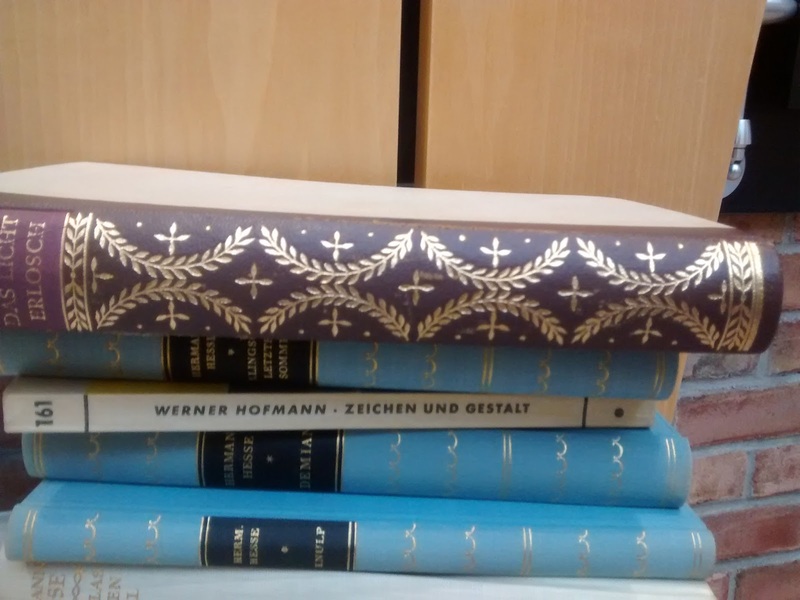 There is a freebie table at college, right across from the library and this book captured my attention. FEATHERS! I just had never put them together in this way before ... my doodles may start incorporating feathers back to back in this configuration and I am thinking of ways to use them in quilts! Where have you seen inspiration for quilting this week? 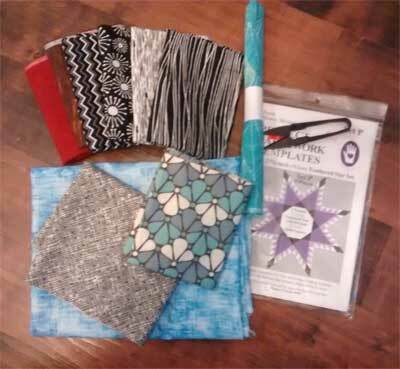 Coming Soon - A Blog Hop and Giveaway! Toward the end of the month I will be participating in a Blog Hop with Giveaways! The Hop will center around this new book I Love Precut Quilts! by Tricia Lynn Mahoney. 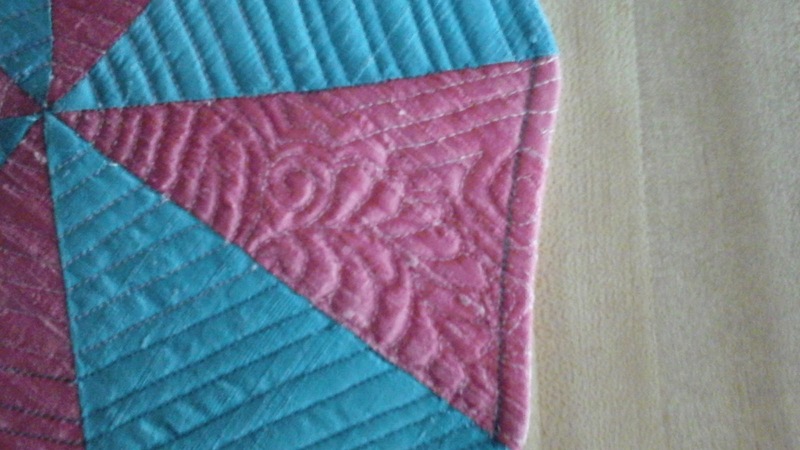 for this challenge, I used Dupioni Silk that was purchased at a local quilt shop ... well, local to my parent's winter place in Florida. I usually do my quilting in Michigan, but who can pass up an opportunity to be in Florida for a week in January? 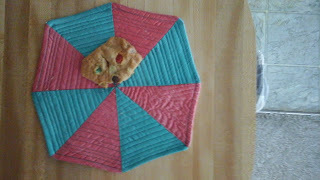 I made an eight sided snack mat and proceeded to hand quilt one section ... and decided to machine quilt the rest. Handwork is not my forte. I have decided to call it "One if by Hand, 7 by Machine"